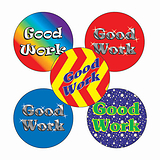 Each sheet of 70 'Good Work' Stickers gives you a variety of bright stickers all at 25mm diameter. 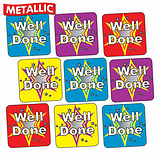 Learners love a reward, a motivator, something to let them know they are on target or have made a great effort which is appreciated. Website Fact - English computer scientist Tim Berners-Lee is credited with inventing the World Wide Web. 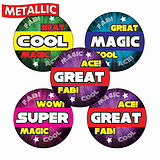 So it's thanks to Tim that you are reading this now.